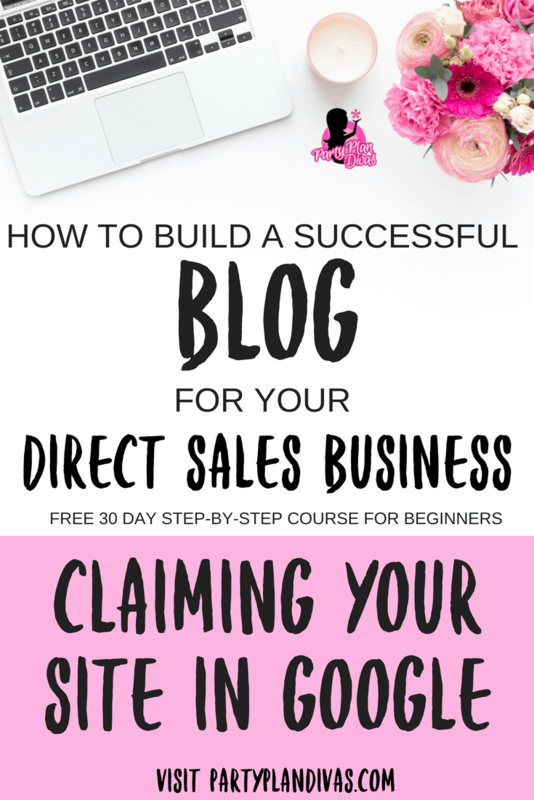 Claiming your blog in Google and Bing is very important. It not only gives you “ownership” to submit your sitemap and interact with the search engines as your website, but allows you to sign up for Adsense, find out statistics, and learn more about your blog through Webmaster Tools / Google Search Console. Remember, this is your business and you need to keep tabs on how you are growing so it is very important to do the detailed work so you can do the fun work! This claiming isn’t too difficult but it can be scary for some. If you follow step by step, you will be just fine. Google has step by step instructions listed here. They are pretty good instructions so I am not going to try to rewrite them. Here is the difference in a claimed site and a nonclaimed site. Both belong to me, but I have not claimed one of them from google yet. That means I can manage everything going on with PartyPlanDivas, see traffic changes and search terms and even alter what the spiders see, but not on WildHeartedGypsy. By adding the file and verifying it, you are showing the search engines that you OWN the site because you have access to the internal workings. They ask you to add a specific file and then send a spider to show them that you did that. That is the claiming process. 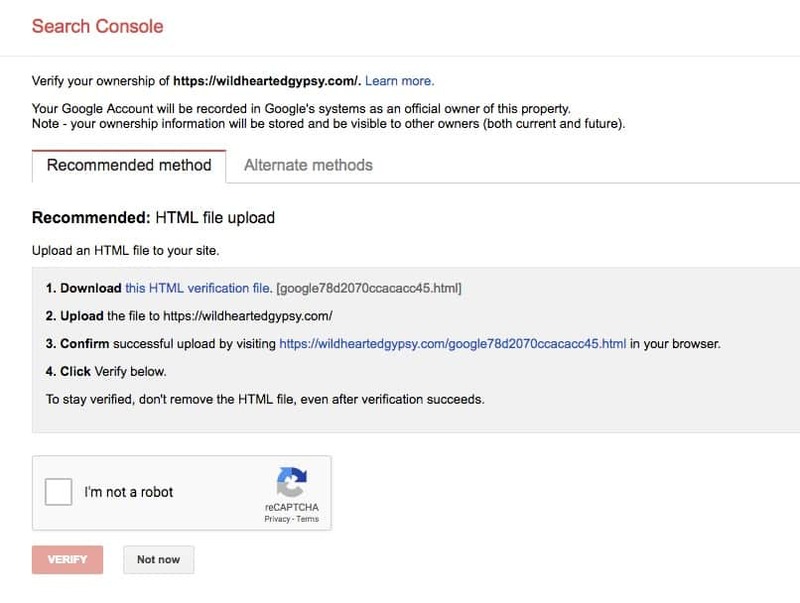 In an unclaimed page, all you would have to do is hit VERIFY THIS SITE and it will prompt you with instructions on the file, where to upload it, and then to hit a verify button. 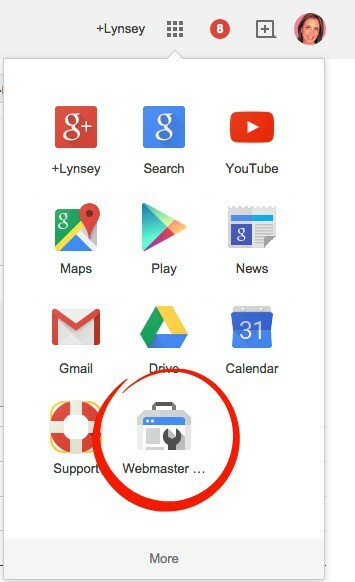 If you did it right, you should be able to access my webmaster tools for your blog and it will give you information like search terms, queries, your position in Google for popular terms and more! Pretty neat right? You can go here to sign into Bing Webmaster Tools. You can go here to VERIFY site ownership on Bing. This works the same as Google. They will give you a few options but adding the file and hitting verify is the easiest. Now keep in mind from claiming and site maps that there may be a really great article that you wrote and you want to make sure Bing finds it. In this case, after your site is verified, you can go in and manually add up to 40 URLs a month. I sometimes do this if I have something popular on Google that Bing is not picking up. While Bing is a very good search engine with a ton of traffic, I have personally found that they are harder to get into so sometimes I nudge them along. Keep in mind that this is all technical stuff that you must do, BUT once its done, its done. And everyone starts somewhere so you if you get frustrated, take it one day at a time and come back to it. Setting up your site ownership, sitemap, and submissions early on can get you on the road to success when you start writing. This is your business and you should be proud and happy that you are taking the time to do it right! Get your blog verified in both Google and Bing.